It has been a hell of a year so far…. I went out of my comfort zone and attacked the Otome genre. Ever since, I developed close attachments to Birds and even hung out with some Shinsengumi! Now, I have been invited to walk around an alternate reality Victorian steampunk-era London with a bunch of characters that starred in various famous novels!? 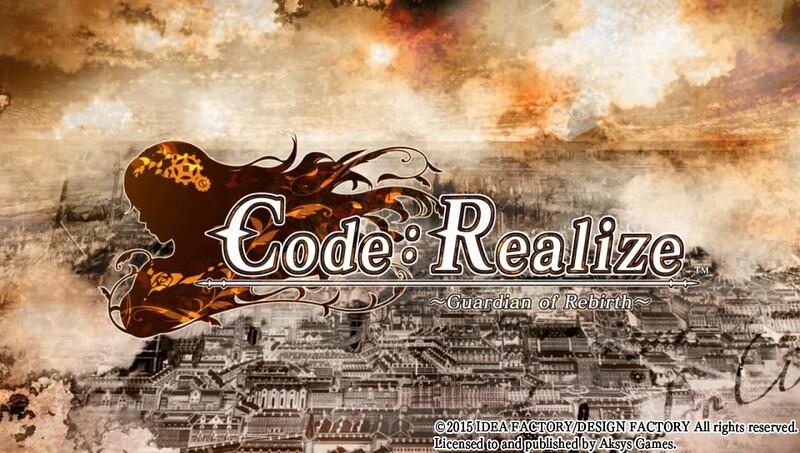 Today’s game is Code: Realize Guardian of Rebirth for the PlayStation Vita. Are you ready for another Otome adventure? I know I am. I see we are off to a great start! The game takes place in an alternate reality version of London where everything is steam powered and Aether is relevant. The game actually makes note that despite the theory of Aether being proven to be false in real life, you have to pretend it exists for the context of the story and setting. While the Steampunk setting is nice, I did not feel the game really used it to its full advantage. 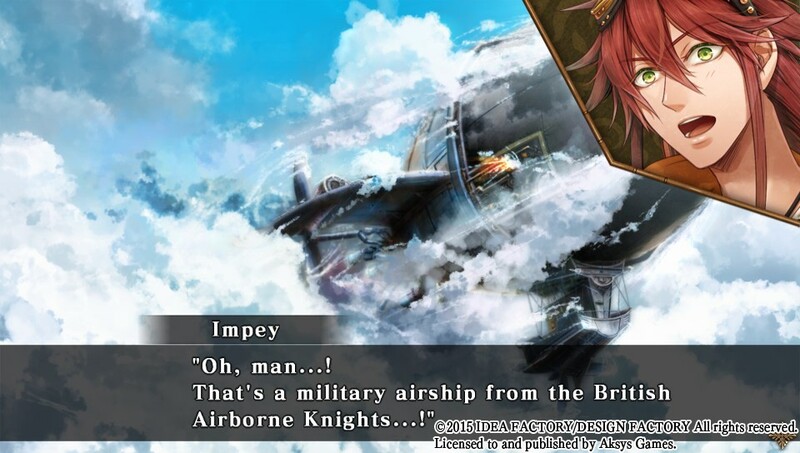 Sure, you had some scenes with Airships but that’s really the extent of it. The art is very colorful and overall nice to look at. 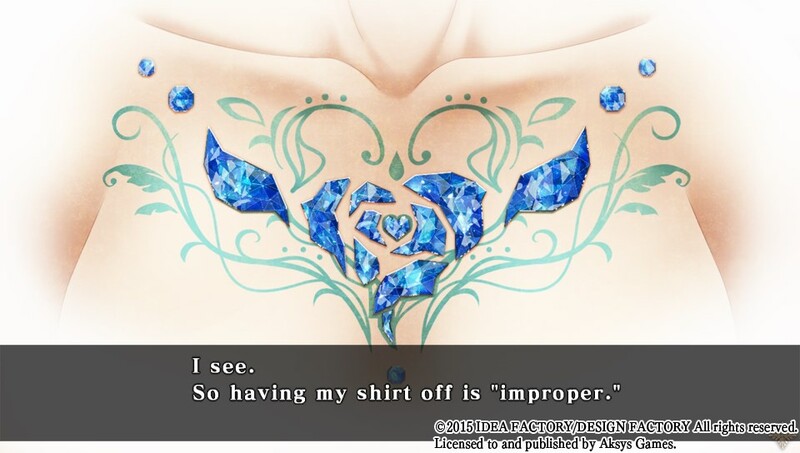 Like in Hakuoki, the male characters have a certain glossiness to them; dare I say, at times, they “Sparkle”! Unfortunately, none of the character portraits are animated. To compensate, there are some zoom in effects added to simulate motion. It is not a huge deal, but it would have been nice to have real animated characters. I guess Tokyo Twilight Ghost Hunters spoiled me, as ever since I finished playing it, I’ve been wanting another visual novel to match its animation. 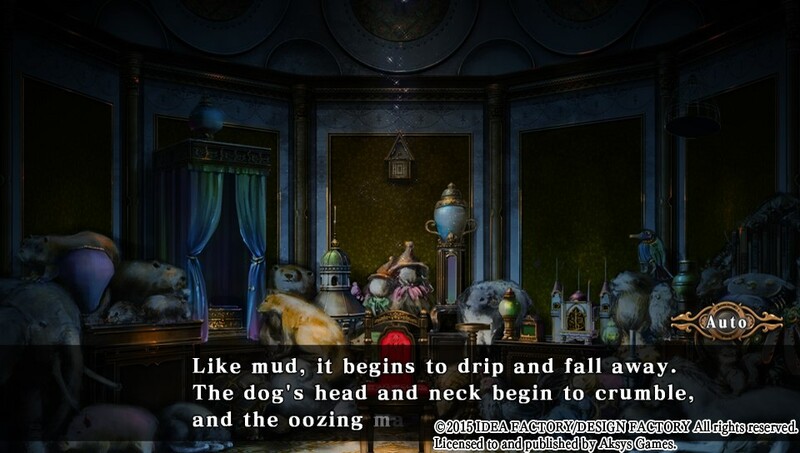 This is the story of a girl named Cardia who is locked away in an abandoned mansion. She suffers from main character memory disorder, in that she has to have amnesia in order for her to conveniently be a blank slate of a character. The few things she does remember are not very pretty. Her memories include being referred to as a monster her whole life and her dad telling her to never fall in love before abandoning her. Little does she know or realize, her body contains a rather unique attribute. Her chest has mysterious crystals embeded in it (see the first screenshot). She is made of poison and anything her skin or blood touches will melt instantly. Somehow her clothes are made of a material that can neutralize it. Yes, it sounds like shenanigans but you have to roll with it. Sorry everyone, Cardia is NOT walking around London naked destroying everything Elfen Lied style. She will melt your dogs though. Something to keep in mind if you invite her over. She is not the only person who knows this, as the Royal Guards soon find out about her and are after her. She is rescued by Arsene Lupin, a very famous thief and star of many novels in real life. In fact, you will meet several fictional characters, such as Van Helsing and Victor Frankenstein. So the story plays out in several chapters as Cardia and Lupin discover her true origins. The jazzy music accompanying the scenes are appropriate, but it’s hardly anything you would find yourself jamming to after turning the game off. The game has full voice acting with the exception of Cardia and when there is narration. There is a feature to auto advance the text, so you can just sit back and enjoy the show. Victor is such a badass! Throughout the game you are given choices and, based on those choices, you will spend time with another character. Make the right choices and you may just fall in love with them. However, you will not see these effects happen until very late in the game. The main story arc is 8 chapters long and while the story has its cool moments, I felt it did not really become good until towards the end. Once the main story arc is done, you initiate the character arc with whomever you intend to pursue romantically. This arc was significantly more interesting than the regular story one, since you learn more about that character’s past, some of which is really tragic. It is just too bad you have to wait so long to see it. There arealso some bad endings you can reach which will happen if you make the wrong choices. 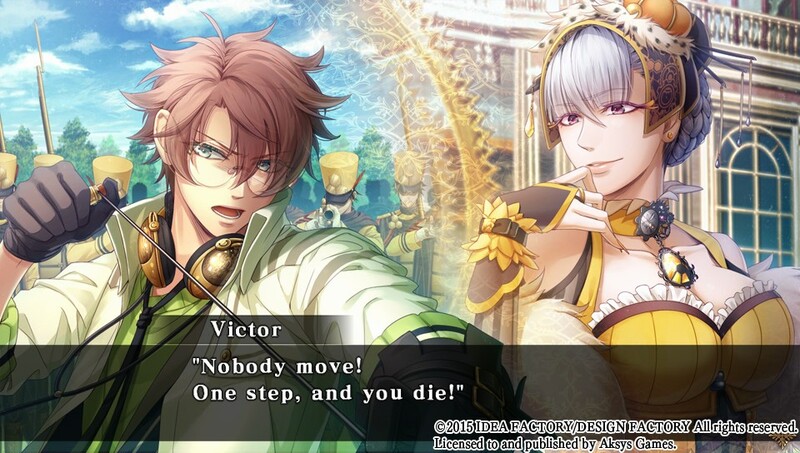 All in all, for $40, Code: Realize is a good read if you enjoyed stories like Hakuoki. However the story does take a long time for it to get interesting. Although Code:Realize claims to have 30+ hours of gameplay, your first run will probably take about 6-10 hours. But I am sure if you did every single path and listened to every line of dialogue in its entirety, you could reach that amount of game time. If you played other Otome and are looking for more, give this one a shot. There is enough good artwork and replay value with the other paths to give you your money’s worth.